Every since we met Niylah on The 100, it felt like she was looking for a space girlfriend. And even though she shared some moments of comfort with Clarke, that relationship didn't go beyond friendship. Niylah and Octavia, on the other hand, they seem to have a spark that gets more intriguing every time they share a scene. This season we have seen Niylah as one of the only people that could make Octavia smile, something we hope will be explored further. Alex's relationship with Maggie was incredibly popular and loved, which complicated things when their romance ended. Recently, however, Alex has been sharing scenes with Sam, and a friendship has been developing between them that could become something more. Now that these two are finally back in the same place and Emori is single and ready to mingle, Clarke could find herself with a new girlfriend. It has been a while since our favorite bisexual lead has been in a relationship and maybe Emori is the perfect partner for her right now. Clarke sacrificed herself to keep Emori safe. Plus, it has become clear that Emori has developed a true respect for this sky person. Kara and Lena became a fan favorite pairing before many of us could even blink. It is hard to deny that something more could possibly be coming between these two. 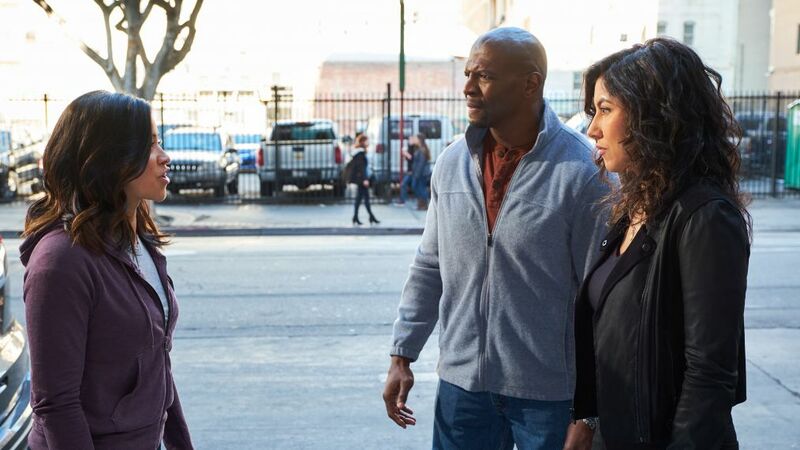 Now these two may have just met, but ever since Rosa came out as bisexual it felt like we were all waiting to see where her romantic journey could go. So when it was announced that Gina Rodriguez would appear on the show, it almost seemed too good to be true. There's no doubt these two already have wonderful on-screen chemistry and it would be wonderful if this translated into a healthy relationship for Rosa. Since day one of Ryn and Maddie meeting, their relationship has consisted of prolonged touching and even the occasional kiss or two. The connection that Ryn shares with Maddie is special and neither of them are shying away from it. The perfect ending to the first season of this mermaid thriller would have to include Maddie and Ryn becoming official, it just makes so much sense. With Broad City coming to a close, Ilana and Abbi's friendship could try to explore the possibility of something more romantic. It is obvious that Ilana is crushing hard on her best friend, so what better way to end this hilarious and wonderful show than having these two get together? Eleanor is legit into Tahani and we are legit into them together. Chidi and Eleanor may be adorable, but the scenarios in which Tahani and Eleanor could be together are just too fascinating not to explore. In the second season, Tahani was even Eleanor's soulmate in one of the scenarios that Michael created, but as soon as it was introduced it was gone. At this point it just feels like this fan favorite ship needs to happen because of how long fans have been rooting for them. It is a well-known friendship but letting it become more wouldn't hurt anybody. In fact, it would finally solidify the sparks that many fans of the long-running drama have picked up on for years and years. You can never really have enough representation on television, especially when it comes to LGBT characters finding happiness. But in recent years, things seem to be trending in a good direction, with more of these characters nabbing bigger roles on the small screen. Networks like The CW though are taking leaps in their programming, with pairs like Cheryl and Toni on Riverdale, Petra and JR on Jane The Virgin, and Valencia and Beth on Crazy Ex-Girlfriend. And it's great to see these fully-formed people exploring their relationships. These shows paved the way for other characters. That got us thinking about other potential LGBT pairings we're shipping right now. Click through the gallery above for our picks from Supernatural, The 100, and more!